Backplane side of unit, cards removed. 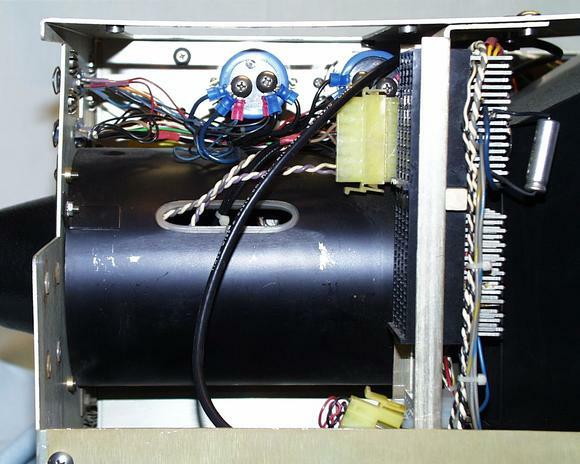 The black cylinder in the center is the shield over the CRT neck with the deflection signals to the yoke and other CRT signals. The black coax cable is the wiring for the light pen.